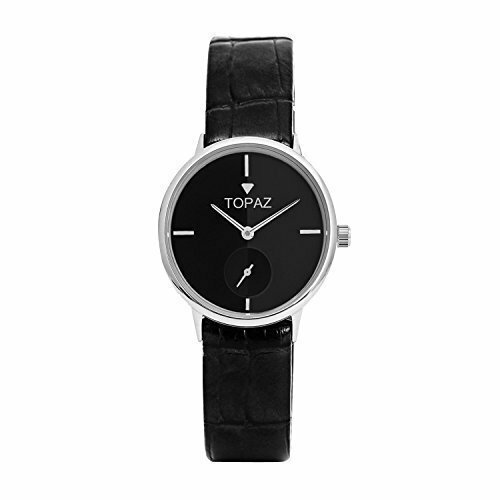 My old watch quit working while back so I recently replaced it with the Topaz Unisex 5061AMLBK Robust design Black Face dress watch. This watch has a very lovely design that would be suitable for either men or women. It is classy enough to go with a nice outfit, yet rugged enough to go wherever you like. It is water resistant up to 99 feet and can withstand splashes or a bit of rain, but they don't recommend it for showering or swimming. This is the only downfall I have found about this watch. I guess I just don't understand how something can be water resistant up to 99 feet without being safe to shower with. I don't know, maybe it is just me. I did forget to take it off this morning when I showered and it survived, but since it isn't recommended, I can't advise anyone to shower with it on. I have had this new watch for just over a week now and it has kept time very well with no problems. This product performs as expected and looks good doing it, therefore it has earned a 5 star rating.